Blackberry Farm is elegantly tucked away in the Foothills of the Smoky Mountains and offers guests the opportunity to experience world-renowned food and wine, wellness activities, and luxurious accommodations—all on a working farm. 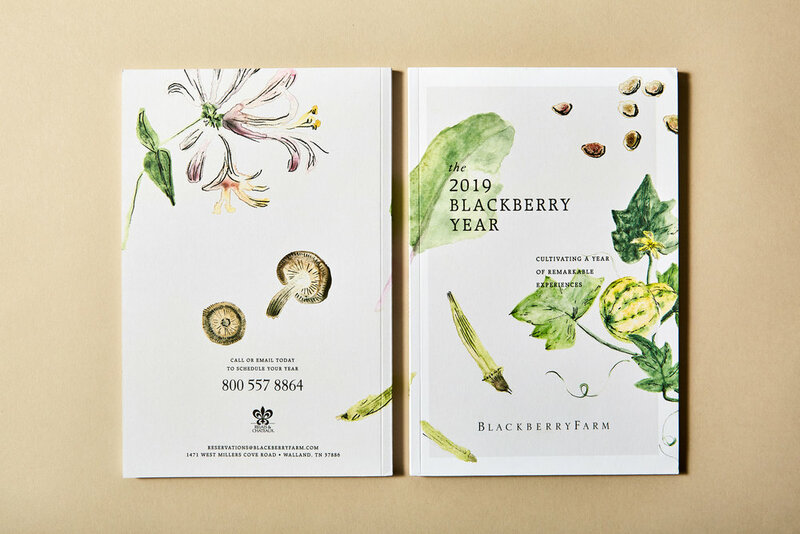 For the 2019 Blackberry Year, an annual publication of upcoming events and activities, our team brought the theme of “cultivation” to life through an artist collaboration whose work informed the design of the piece and supporting campaign materials. 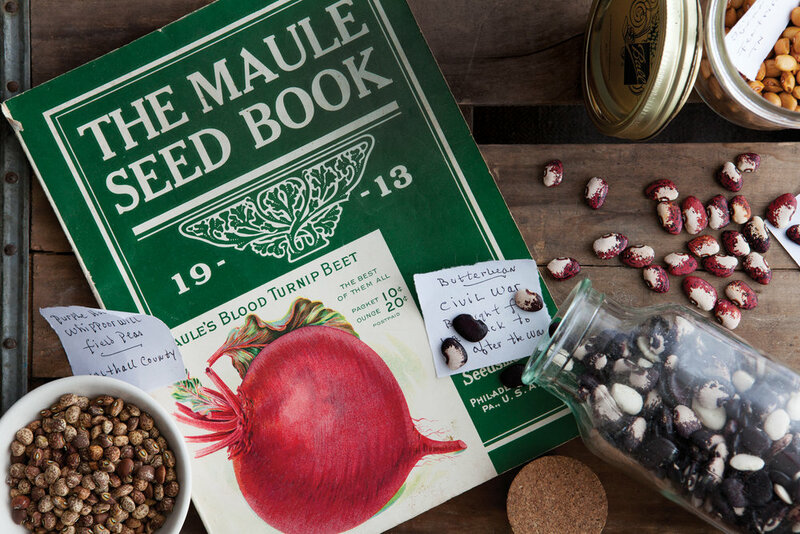 I gave Southern artist Emily Brown direction for her visit to the Farm based on the publication design needs, which inspired the creation of her works. Emily leveraged her process of using dried botanicals to make pigments to create truly unique artwork using materials found at Blackberry Farm. 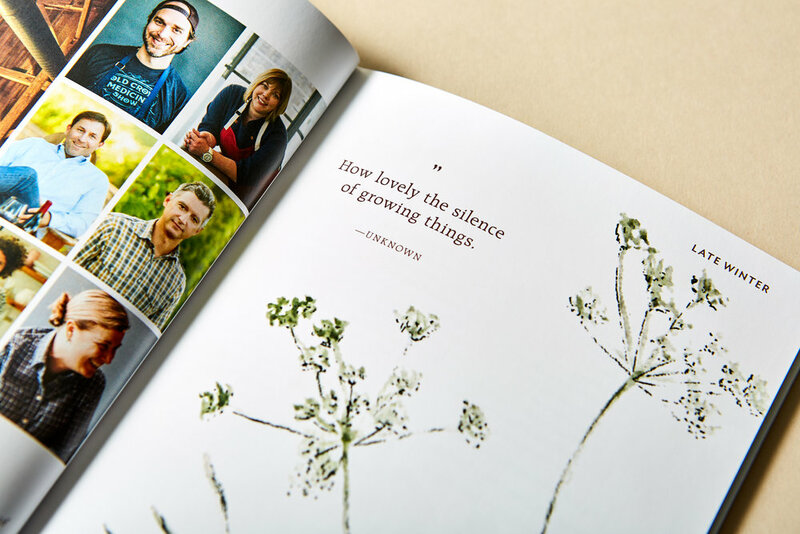 The artwork informed editorial moments throughout the publication, which ranged from inspirational quotes to seasonal insight from Blackberry Farm team members.